Helotes Pediatrics Staff - San Antonio, TX - San Antonio Pediatrics, P.A. As featured in the Helotes Highlights! 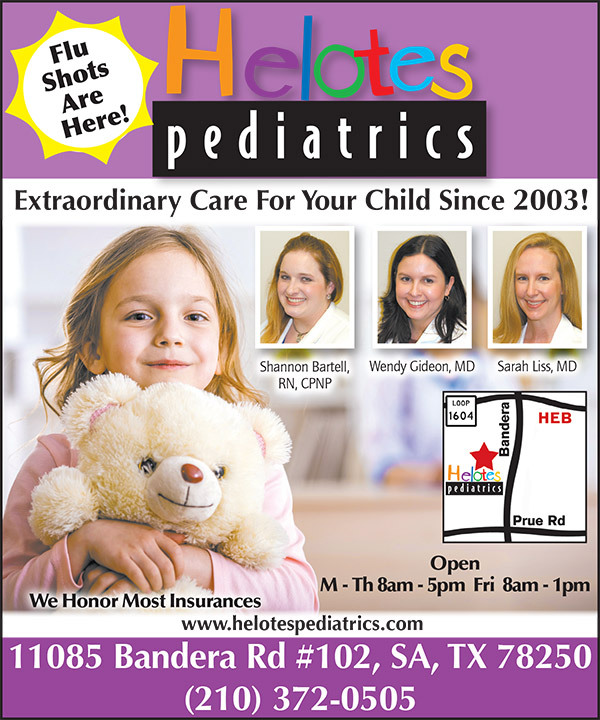 Meet our team at Helotes Pediatrics, P.A.! Please take a few moments to learn about our skilled practitioners and our friendly, nurturing staff. At Helotes Pediatrics, P.A., we consider it both a great joy and responsibility to care for children. Most of us are parents ourselves, so we strive to be understanding and available to the families we are privileged to serve. We are honored that you have chosen us as your child's primary medical provider and are confident that you will be pleased with the quality of care and service that we can provide you and your family.